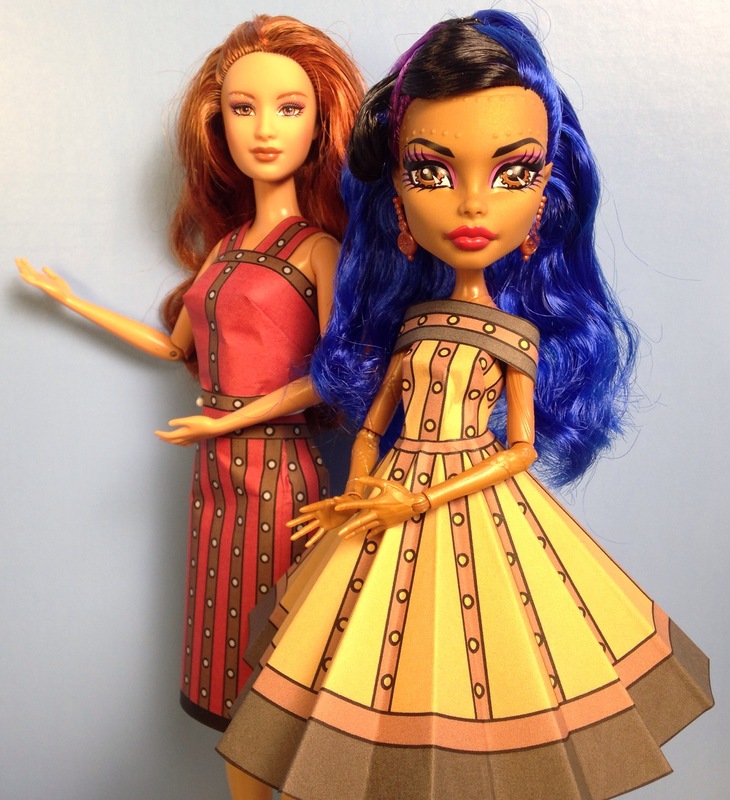 Ever After High C.A. 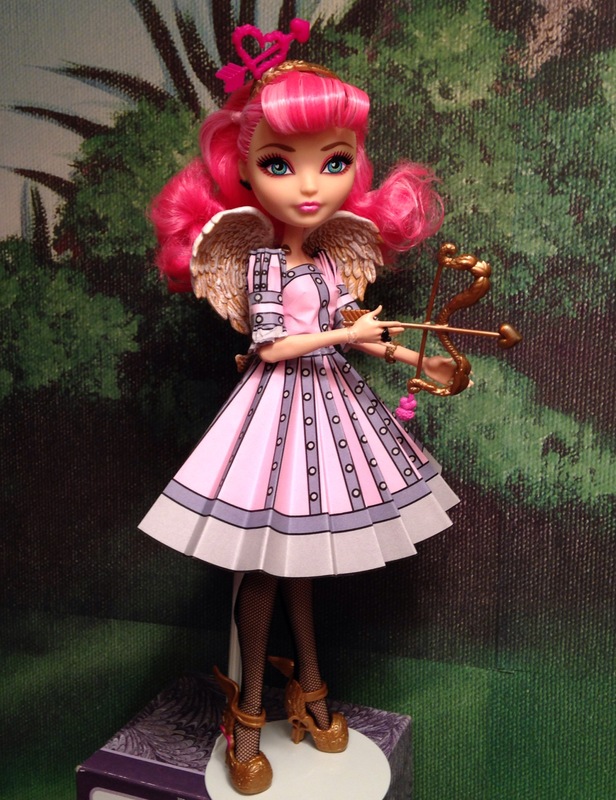 Cupid Doll is wearing a top, circle skirt, and middle puff sleeves. Skipper is wearing a straight skirt made exactly like a top, a belt, straight sleeves cut from a top piece, and a wrap around collar. Summer is wearing a top, circle skirt, straight skirt over skirt, and puff sleeves. Barbie is wearing a top, straight skirt, belt, and shoulder straps. Robecca Steam is wearing a top, circle skirt, and wrap around collar. 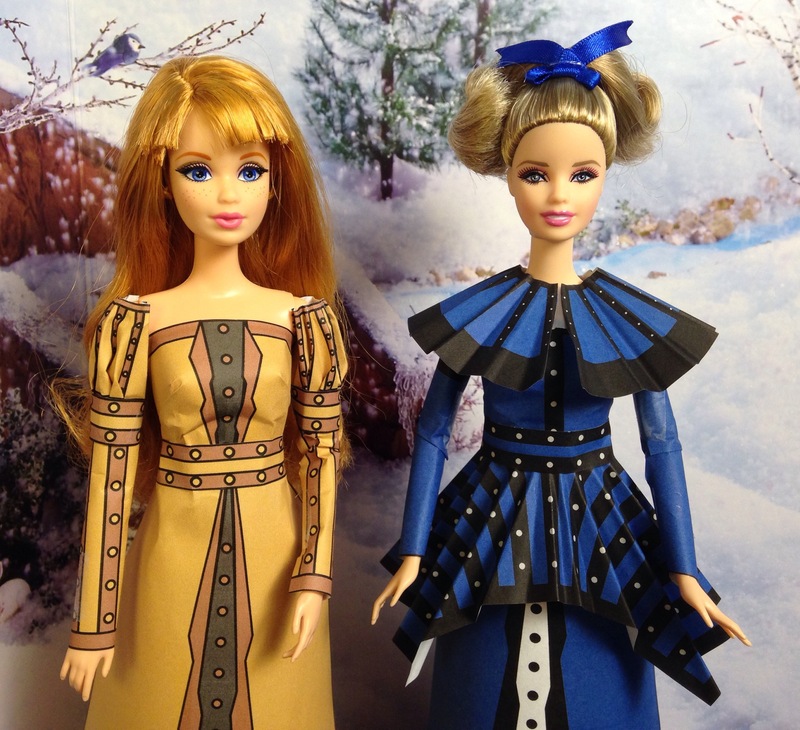 Barbie is wearing a top, flared skirt, belt, and middle puff sleeves. Midge is wearing a top, flared skirt, belt, and straight sleeves with puff sleeves on top. 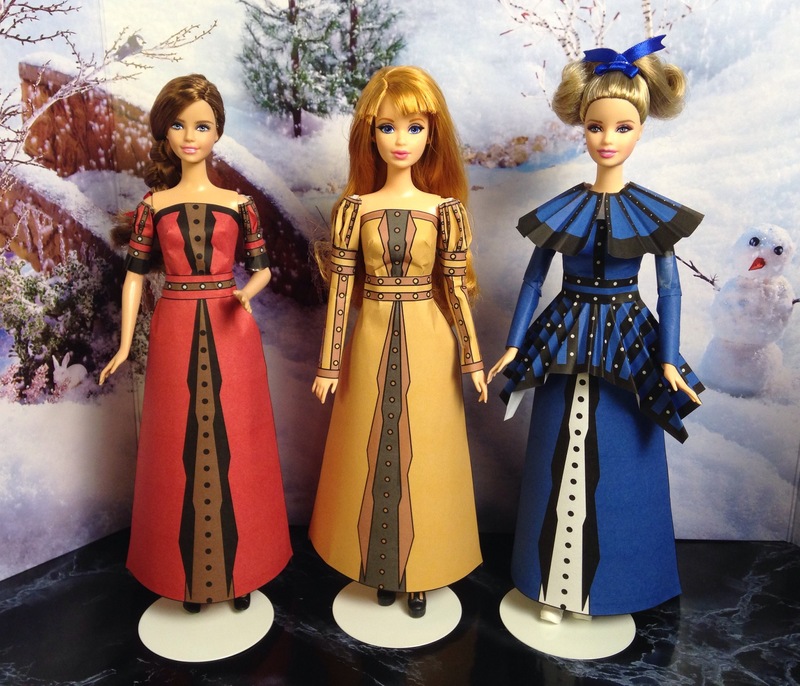 Barbie is wearing a top, flared skirt, straight skirt over skirt, belt, straight sleeves cut from a top piece, and a cape.